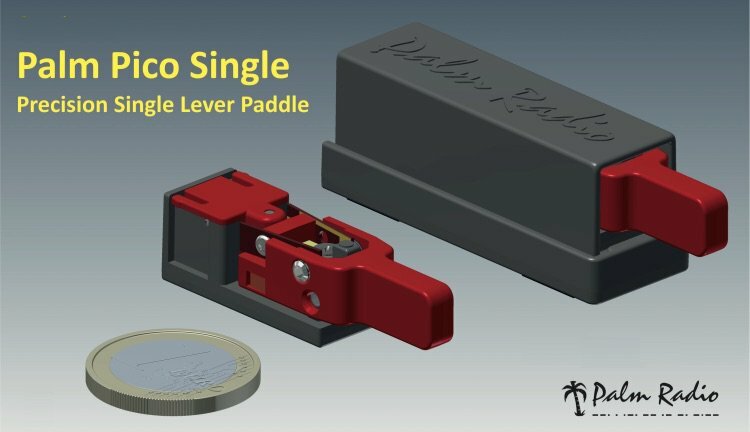 Palm Radio's new Pico Single Paddle is the world's smallest single-lever paddle. With housing dimensions of only 15 x 15 x 50 mm (WxHxD) and weighing only 8.3 grams, the key is tiny but represents a full featured single paddle. 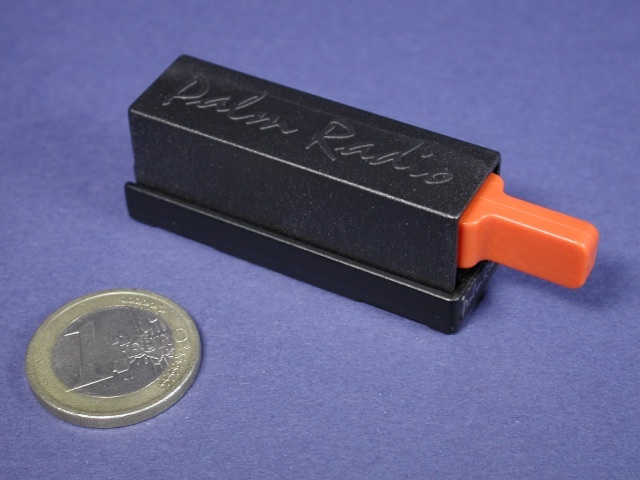 Just as known from all Palm Radio keys, the "PPS" can be retracted into it's robust housing (impact-resistant ABS plastic) for maximum transportation protection. The key is equipped with galvanically gold-plated contacts to guarantee maximum contact safety and reliability. The lever of the "Palm Pico Single" bears a clever mechanism for the automatic center positioning of the lever - no adjustments to be made! Two different set screws per lever side allow precise and individual adjustment of the contact gap and the spring pressure. 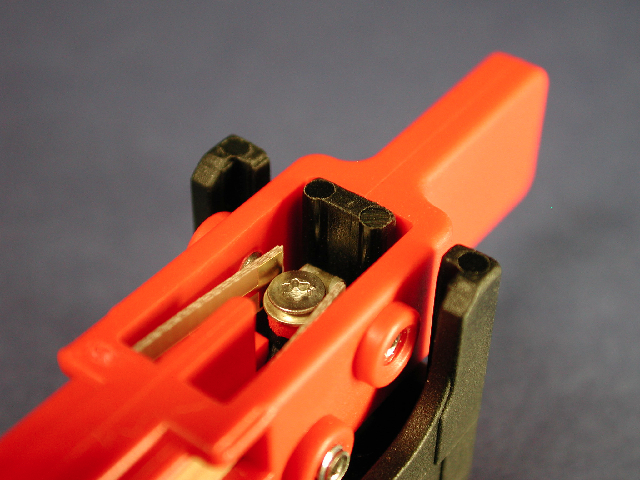 They can be adjusted with a matching Allen key, which can be stored in the base plate of the key ("PP-QMM") - perfectly placed and always at hand. 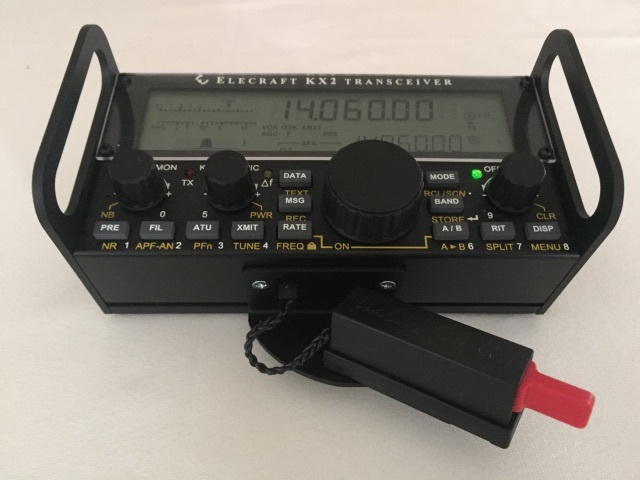 As known from it's popular dual-lever brother, the Pico Paddle ("PP"), device-specific installation kits ("MK-KX3" and "MK-817") can be used to attach the "PPS" to some popular HF transceivers (eg. 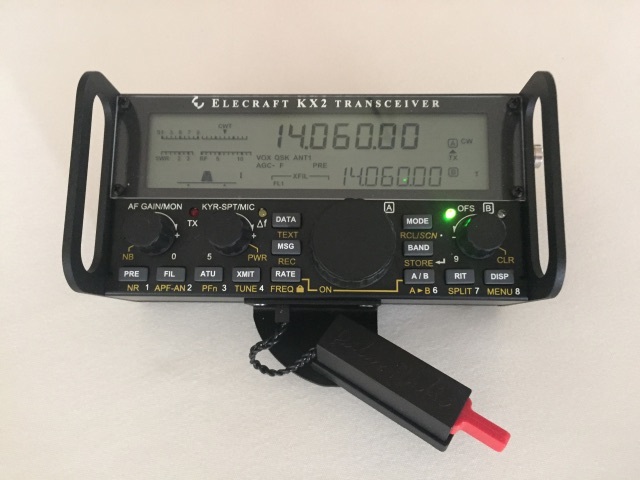 KX2, KX3, FT-817). 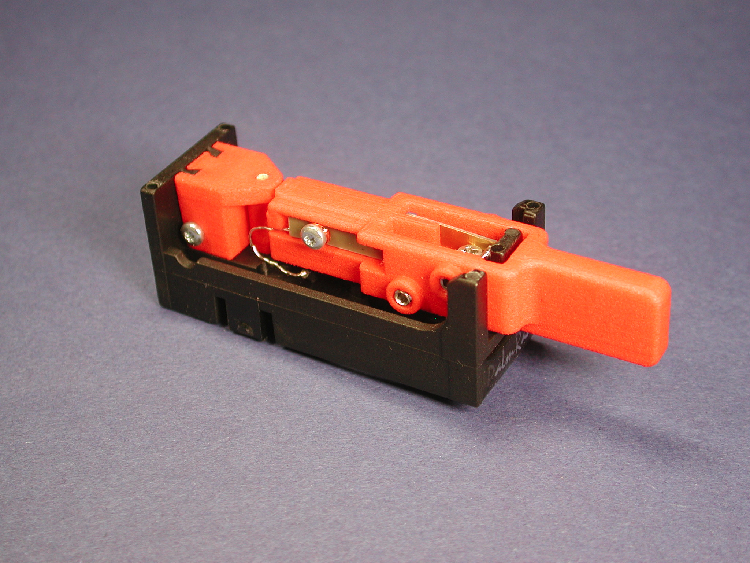 Another accessory for the "PPS" is a universally applicable mounting plate, the "Pico Plate". 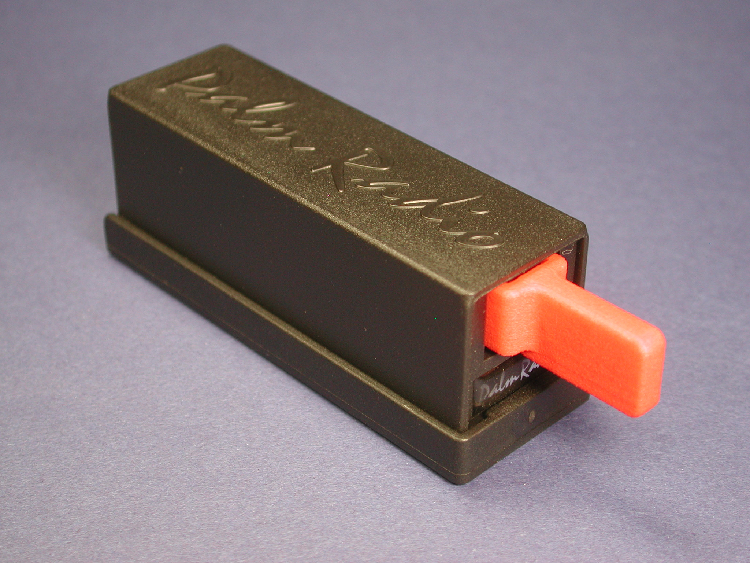 The "Palm Pico Single" has a 2.5 mm (1/10 inch) stereo phone jack at the back side. The connecting cable for the "Pico Paddles" are very thin, but robust and flexible. 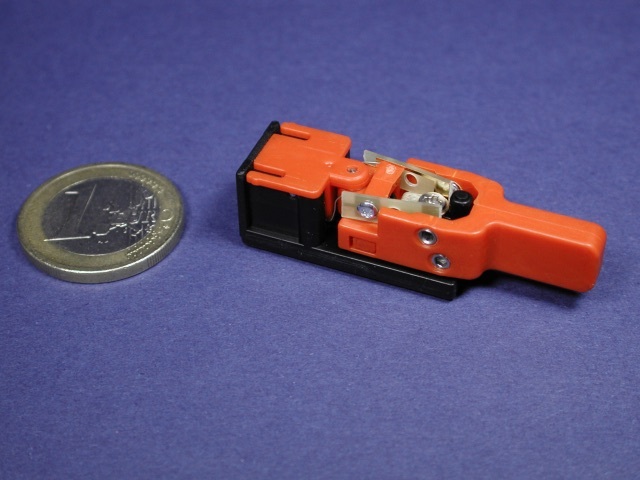 They have a length of 70 cm (2.3 feet) and carry one 2.5 mm (1/10 inch) plug on one end, the other end has a 3.5 mm (1/8 inch) plug for connection to the transceiver or keyer. The supplied standard cable is the "PP-CC-LT" (left paddle on tip of the 1/8 inch stereo phone plug). A reverse cable "PP-CC-RT" (right paddle on tip of the 1/8 inch stereo phone plug) is optionally available. Delivery: The "Palm Pico Single" comes in a robust transport box ("Travel Case") with connecting cable and instructions. 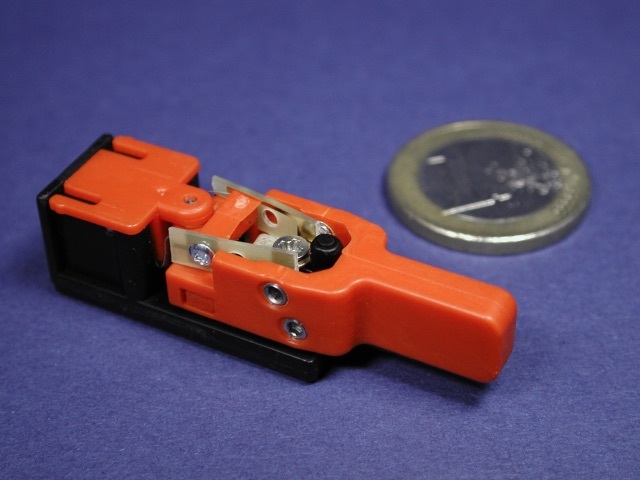 The included PP QuickMount ("PP-QMM") is equipped with strong neodymium magnets so that the "PPS" can easily and securely be attached to any ferromagnetic surfaces (e.g. directly to the transceiver).